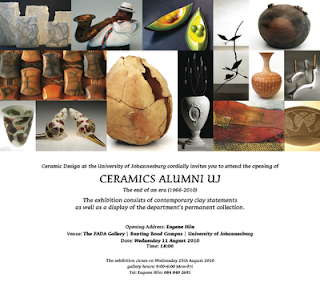 John Shirley Ceramics: UJ Ceramics Alumni Exhibition. 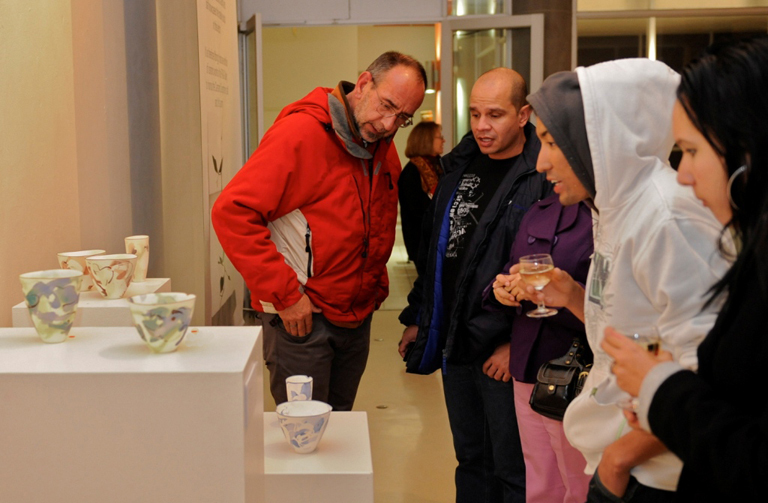 Ceramic Design at the University of Johannesburg closes at the end of this year. 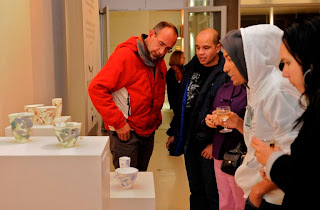 An exhibition celebrating the work of the alumni and staff of this programme is currently on view at the FADA Gallery at the University's Bunting Road Campus in Auckland Park. The exhibition closes on Wednesday, August25th.